We know that a new Impreza is about to be launched this year, as the current model is not a great success for Subaru. BC has come up with this interesting STi rendering, claiming that power will come from a 2.0L boxer engine (FB20) delivering 300 ps. The new Impreza STi should be able to achieve a fuel efficiency of 13.0 km/L. 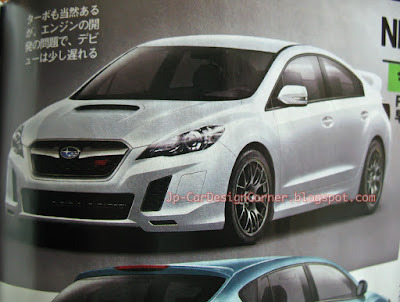 I don't know how will look the new STI 2012. But I think the style will be more aggressive than the 2010.So I will buy a used STI 06 this year.